The chief officer manages and leads the fire department and also commands at the scene of an emergency. He prepares the budgets, administers department policies, supervises training and manages day-to-day operations. He also acts as an advisor to local government and keeps the community prepared for emergency response. The Bachelor of Science degree in Fire Protection Administration is a dynamic curriculum using an approach designed to adapt different learning styles and schedules for current and future professionals in the fire and safety industry. The program will provide learners with knowledge and understanding of integration in the various technical aspects of fire service management. Apply principles of transformational leadership to negotiate, mentor, motivate, and lead others toward a shared and ethical organizational vision or goal. Apply knowledge of leadership, change, business models, organizational issues, and regulations to ensure organizational effectiveness, resulting in the improvement of emergency services. Utilize the methods and resources of research, science, and technology to effectively manage emergency services. Utilize appropriate communication strategies and methods to accomplish organizational goals and objectives. Utilize appropriate assessment and planning skills to improve organization and community risk management for emergency services. Students will demonstrate fundamental knowledge of the functions of planning, organizing, directing and controlling as applicable to leadership in the fire and emergency services. Students shall describe the methods and to perform an analyze of the appropriateness of coverage of a fire protection agency. Students will demonstrate an understanding of crisis management, fire suppression and modern extinguishment methods. Students will be able to express basic understanding of the requirements and processes needed to achieve leadership positions in the fire service. Students will demonstrate understanding and appreciation of the skills necessary for planning, direction and management of the operations of the Fire Department. Students will demonstrate fundamental knowledge of the functions of fire prevention/protection, fire suppression, emergency preparedness planning, public fire safety education, and related code enforcement. Students will demonstrate understanding and awareness regarding accountability for results in terms of costs, personnel and methods. Students will be able to make logical presentations and produced technical reports on topics effecting a fire protection agencies various functions. Students shall apply knowledge of the proper management techniques of a fire protection agency. Students shall demonstrate the ability to perform hazard analysis and emergency planning. Students shall integrate the professional development model into the operations of a fire protection agency. Students completing this degree will demonstrate the ability to work within a team to assess and suggest methodologies to provide fire related emergency services to communities. Students will correlate widely variant issues, assign priorities to each, and synthesize given information into a unified approach to solving preventing and mitigating fire conditions. Students demonstrate understanding of the need to integrate hazard assessment, hazard mitigation and emergency response capabilities in the umbrella of emergency service systems. 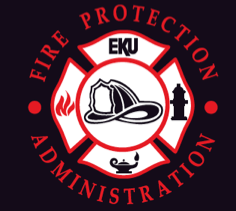 Students will demonstrate the ability to effectively communicate fire department needs to political bodies, managers, citizens and others within the fire department organization. Students will demonstrate understanding of nationally accepted codes, laws and standards that are applicable to fire and emergency service organizations in providing comprehensive emergency services to a community. Fire, Arson and Explosion investigators utilize skills and knowledge regarding chemistry, physics, and human behavior to determine the sequence of events and causation of fires and explosions. This program provides students a platform of requisite knowledge and skills to work competently as an individual and as a team member in efforts to determine cause and responsibility of fires and explosions. Students develop critical thinking skills to allow them to analyze and synthesize data derived from scientific investigative methodology in determining and communicating origin, cause, circumstances and responsibility of fires and explosions. Working alone and as a team member, document, analyze and evaluate artifact, patterns and observations from fire and explosion scenes to determine the sequence of events. Document, analyze, evaluate and integrate information gleaned from investigation sources, including interviews and records, to determine responsibility for fire and explosion cause. They will effectively communicate their observations, evaluation methodologies, and findings both orally and in writing. Evaluate and analyze circumstances that lead to fires and explosions with the intent to prevent future occurrences with similar conditions. Integrate laws, statutes, codes and standards into investigative methodology. Evaluate applicable investigative methodologies including, application of law, artifact interpretation, and scene documentation in preparing investigations for presentation in courts of law. Students will demonstrate fundamental knowledge of investigative techniques and case management as it relates to fire, arson, and explosion scenes. Students will be able to describe, analyze, and apply the National Fire Code Component NFPA 921 to the investigation of fire and explosion incidents. Students will demonstrate knowledge of the rules of evidence and the rules of criminal and civil litigation. Students shall be able to apply the National fire codes in the analysis of fire and explosion incidents. Students shall demonstrate the ability to document, analyze and collect evidence at fire and explosion scenes. Students shall be able to produce technical reports and make logical presentations of investigations of fire and explosions investigations in an orderly fashion suitable for the civil and criminal court room settings. Students shall be able to identify, document, and explain the origin (epicenter) of fires and explosions using the appropriate methodology…. Analyze and evaluate artifacts, patterns and observations from fire and explosion scenes to determine the sequence of events. Analyze, evaluate and integrate information gleaned from investigation sources, including interviews and records, to determine responsibility for fire and explosion cause. Fire protection and safety engineering technicians are experts who save lives and money by preventing fires and reducing the danger when fires do break out. They provide advice that helps people to safely design buildings and products, prevent fires, and extinguish or escape from fires. Many also inspect public buildings and homes to determine the amount of fire danger that is present and suggest ways to minimize this danger.